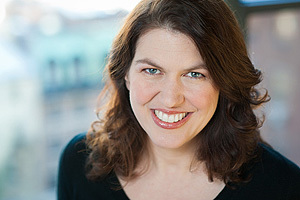 Stefanie Pintoff's first novel, In the Shadow of Gotham, won the Edgar® Award for Best First Novel of 2009 and earned nominations for the Anthony, Macavity, and Agatha awards. In the Shadow of Gotham introduced turn-of-the-century New York Police Detective Simon Ziele, who appeared again in A Curtain Falls (2010) and Secret of the White Rose (2011). Stefanie launched the Eve Rossi series of thrillers in 2015 with Hostage Taker, a Barry Award nominee for Best Thriller. The second Eve Rossi novel, City on Edge, was published in November 2016. An avid photographer and voracious reader, she lives on Manhattan's Upper West Side with her family.